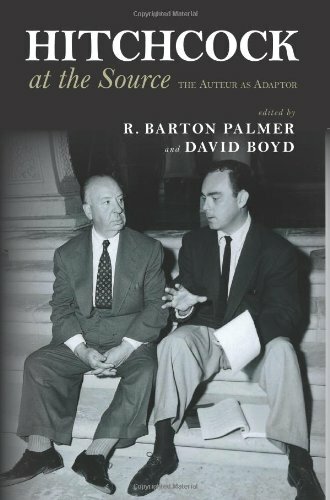 “Hitchcock at the Source: The Auteur as Adapter” is a collection of scholarly essays about Alfred Hitchcock’s film adaptations (compiled and edited by R. Barton Palmer and David Boyd). While one might be tempted to compare this book to “Hitchcock and Adaptation: On the Page and Screen” (which was edited by Mark Osteen), this would be a disservice to both texts. While both of these volumes cover the adaptation of Alfred Hitchcock’s output, a large percentage of the films covered in this volume aren’t covered in Osteen’s collection (and those that are covered are handled with a set of very different agendas). While both volumes are often scholarly in tone and substance, this book has a slightly less pretentious quality (for the most part). It might be said that this collection would be better suited for the casual Hitchcock fan. Although these essays are handled with the usual helping of theoretical discourse, most are written in a much more digestible manner. Luckily, most of the essays offer many factual details to support (or try to support) the scholarly analysis. These factual details are what will interest many of the director’s fans. Of course, some essays will interest readers more than others. Many will likely find the introduction less rewarding than one might prefer, and Thomas Leitch’s Hitchcock from Stage to Page (the first essay in the collection) tends to act as an introduction in its own right. This particular essay is pure theory and is so generalized that it only served to stall my enjoyment of the rest of the volume. The important thing is that “Hitchcock at the Source: The Auteur as Adapter” offers writings (and research) on a topic that is too often ignored. 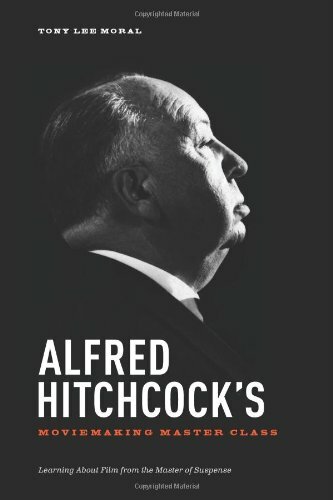 “Hitchcock and Adaptation: On the Page and Screen” is a collection of scholarly essays about Hitchcock’s film adaptations (compiled and edited by Mark Osteen). In many ways, the book can be seen as a sequel to a previous collection of essays entitled, “Hitchcock at the Source” (which was edited by R. Barton Palmer and David Boyd). It seems to cover films that were not covered in this previous publication (though there is some slight overlap). Osteen’s collection should certainly interest the Hitchcock scholar (and anyone else that enjoys scholarly essays on film). Casual fans will also find a lot of interesting information, but some of these essays are bound to hold their interest better than others. 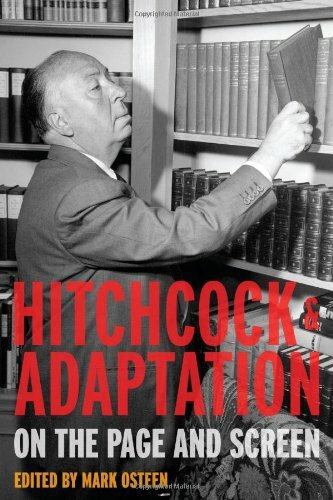 The book is broken into four units (Hitchcock and Authorship, Hitchcock Adapting, Hitching a Ride: The Collaborations, and Adapting Hitchcock). The last of these four units will likely be of less interest to a lot of casual Hitchcock fans, because it tends to focus on various film and literary works that were inspired by (or adapted from) Hitchcock’s films. The exception here might be an essay entitled, Dark Adaptations: Robert Bloch and Hitchcock on the Small Screen. This essay by Dennis R. Perry and Carl H Sederholm focuses on episodes of Alfred Hitchcock Presents and The Alfred Hitchcock Hour that were written by Robert Bloch or adapted from one of his stories. None of these episodes were actually directed by Alfred Hitchcock, but the essay should interest fans of the director’s television series. 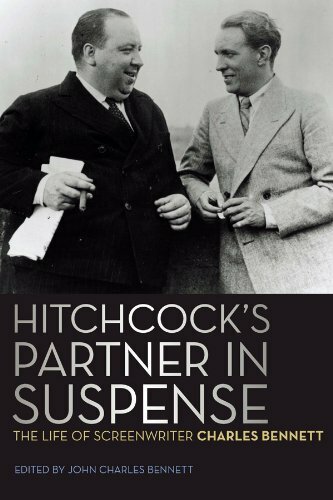 A large percentage of the essays focus on Hitchcock’s film work, and it is here that the book blossoms into life. The essays offer many factual details to support (or try to support) the scholarly analysis, which makes the sometimes overreaching conclusions more digestible to the average reader. These factual details are what will interest many of the director’s fans. As a matter of fact, there is a lot of fascination information in the book’s lengthy introduction. Here Osteen offers detailed information about an un-produced project entitled No Bail for the Judge that any Hitchcock fan should find fascinating. A few pages later, there are details about the adaptation of The Wrong Man (which was based on true events). This was a pleasant surprise. The Wrong Man is an extremely interesting film that is often ignored by scholars. My only complaint is that there isn’t an essay devoted entirely to this film. If any of this sounds appealing, this book should be worth picking up.